Asia Society Museum Director Melissa Chiu made the news this past weekend in a New York Times report from Myanmar (Burma) on the “coming out” of that country’s relatively little-seen early Buddhist art. 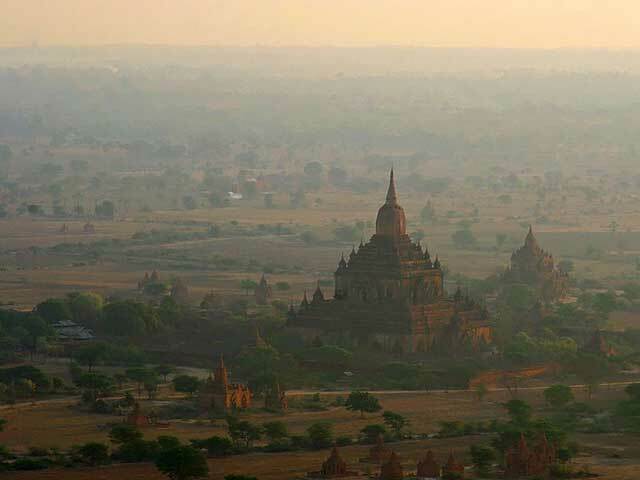 Writing from Bagan (Pagan), Myanmar, Times correspondent Jane Perlez describes how Chiu and a small group of American museum curators have been exploring Myanmar’s “neglected museums and dusty storerooms” in preparation for a 2015 Asia Society Museum exhibition of Myanmar’s Buddhist art. The show will be a coming out for Burma …. The country has been closed off for so many years, we hope the show will assume a bigger significance, and shed new light on material not seen before. The article, “Opening a Door to the Burmese Past, and the Present, Too,” gives a colorful account of the curatorial team’s travels from Yangon (Rangoon), Myanmar’s former capital, to its current one, Napidyaw, to Bagan, a onetime royal seat on the banks of the Irrawaddy River where thousands of temples, monasteries and pagodas were built between the 9th and 13th centuries CE. The Times also offers tantalizing descriptions of several of the pieces being considered for the exhibition, ranging from “gold-painted sphinxlike creatures” found in a rundown library to an exquisite bronze casting in the shape of a lotus flower and a 1,500-year-old bronze Buddha uncovered by a rice farmer plowing his fields in 2005. Approximately 70 objects will be featured in the exhibition, three quarters of them from Myanmar and the remainder from U.S. museum collections. In exchange for access to the pieces, Asia Society Museum will help train Myanmar’s under-resourced museum employees in conservation techniques.